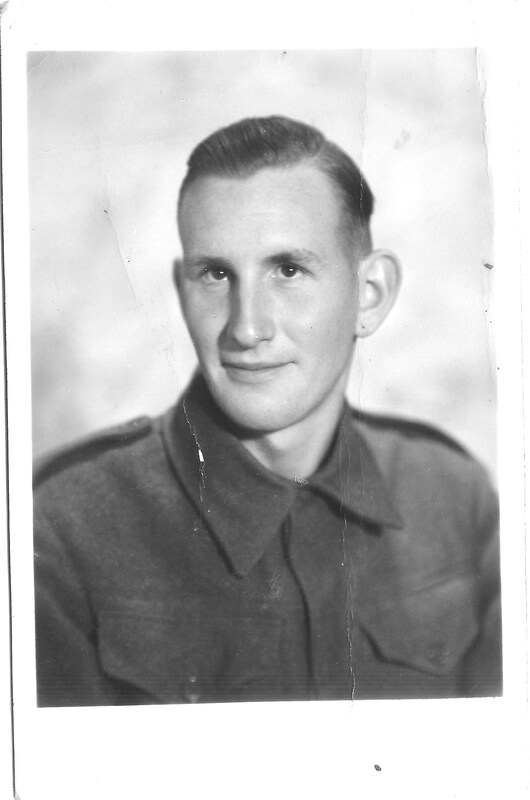 Today I want to write about my Uncle Jack because he was born on this day the 3rd of April in1920. He was the first child of Joseph Taylor Dinnis and Annie Dinnis, they would go on to have three more – Nancy, Gordon (my father) and Ron. Jack lived at home with his mother, Annie, until she was unable to live at home any longer due to poor health. They lived in the family home in Brighton. I remember going to visit my Nannie and Uncle Jack on Sunday mornings, after Sunday School. Dad would take me on the bus and every time we arrived Uncle Jack would come out of the kitchen with his face covered in shaving foam and pretend he was going to kiss me. I found this hilarious, Uncle Jack was always a bit of a joker! This entry was posted in Jack Douglas Dinnis and tagged Family History. Bookmark the permalink. Thinking of you on your birthday, Uncle Jack. Yes, you were a great one for jokes and particularly puns.